Exhausted from your adventures in the aforementioned land, it’s probably time for a break, right? Well, while New Orleans Square is a hustle and bustle of restaurants and shops, it’s right back into the action! New Orleans Square features two of the most original attractions at Disneyland, both of which inspired their own movies, with mixed results. – Recommendation: Must do for all ages. Most scenes may frighten young children. “Yo Ho You Ho, a pirates life for me!” As the Chorus to this song echoes through your head, long after leaving the attraction, you can’t help but admire the intricacies and scale of the Pirates of the Caribbean ride. A basic flume style attraction, Pirates of the Caribbean puts you into the heat of battle, as you witness the attack and sacking of Port Royal. The ride had been in the works long before its eventual opening, going from complex walk through attraction, to empty underground basement on numerous occasions. Finally, with the invention of audio-animatronics, things started moving again and today’s version of the ride was settled upon. It features hundreds of complex audio-animatronics, which were updated to include Captain Barbossa and Captain Jack Sparrow about a decade ago. Below is a really interesting video presented by Walt Disney, outlining the construction of Pirates and New Orleans. Video Courtesy of Disney Parks. Here you will face skeletons of deceased pirates, both animated and not, littering the caverns. A haunted shipwreck, filled with treasure is the next stop on the voyage, while a harpsichord belts out the Pirate’s anthem. The climactic scene begins with a talking ghost like projection of Davy Jones or Blackbeard, as you find yourself caught in the cross fire of a Spanish Ship and Captain Barbossa. Then comes the pillaging of Port Royal. Here you will find every act of piracy you can imagine, or just think of the first Pirates movie and you’ve got it! These famous animatronics (one of which you will certainly recognise) skillfully entertain for a good five minutes, before ascending up a “waterfall” and back to reality. There are a mountain of institutions at Disneyland but Pirates of the Caribbean is up there with the best of them. The attention to detail is excellent, making you feel as if you are not on a ride but somewhere else entirely. Another ride that typifies what makes Disneyland so different and a definite must do from me. Spoiler Alert: The POV of Pirates of the Caribbean. If you don’t want to see the ride, look away now. Video thanks to LMG Vids. – Recommendation: Must do. Most scenes may frighten young children. A place of grim grinning ghosts and great special effects, the Haunted Mansion is yet another institution at Disneyland that the crowds just can’t get enough of. It is a dark ride, which uses rotating carriages to enable riders to spin and face the “happy haunts” head on. 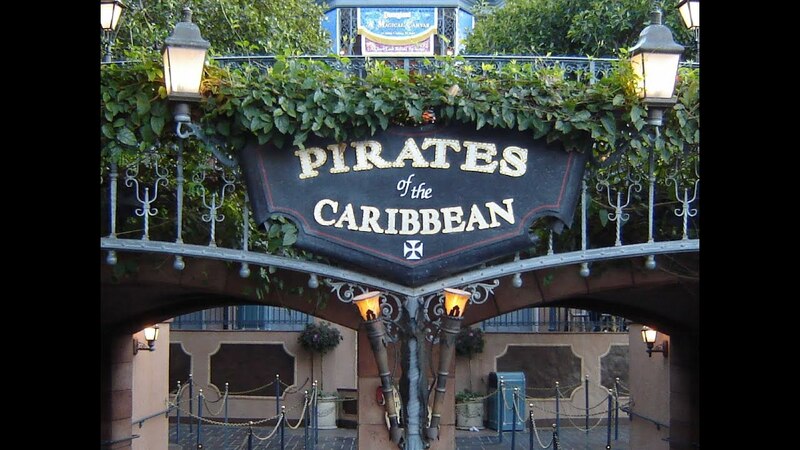 Much like the Pirates of the Caribbean, work began on this attraction over a decade before it’s opening in 1969 and was (again like Pirates) initially designed as a walk-through attraction. Walt also hated the idea of a typically ugly Gothic building for his ghost house, opting for a plantation style mansion that would suit his beautiful park. Despite the construction of the building itself in 1964 it lay bare for the best part of a 5 years. However, after a long 12 years planning, issues with crowd flow, together with contemporary ride vehicle innovations, eventually saw The Haunted Mansion become what it is today. Upon entering the mansion you are taken into what is referred to as the stretching room. This is essentially an elevator that takes you down to the actual ride and helps Disney break up the queue, making it feel like you aren’t waiting in line as long. The elevator itself, has pictures hanging on the wall, with eyes that move and stretch as you are taken down to the basement area. Here you are also greeted by your host, who challenges you to escape the mansion, dead or alive. As you exit the stretching room you enter another small queue to literally hop onto the ever-moving ride vehicles (They actually don’t stop for you to get on). You pass through virtually all areas of the house and witness ghostly dances, moving suits of armour and countless other haunting gags that are no more than smoke and mirrors but are extremely effective. Your host will also taunt you throughout, while a great little soundtrack plays in the background. Despite the promises that you will never escape, somehow you always manage to and are eventually shown the exit. 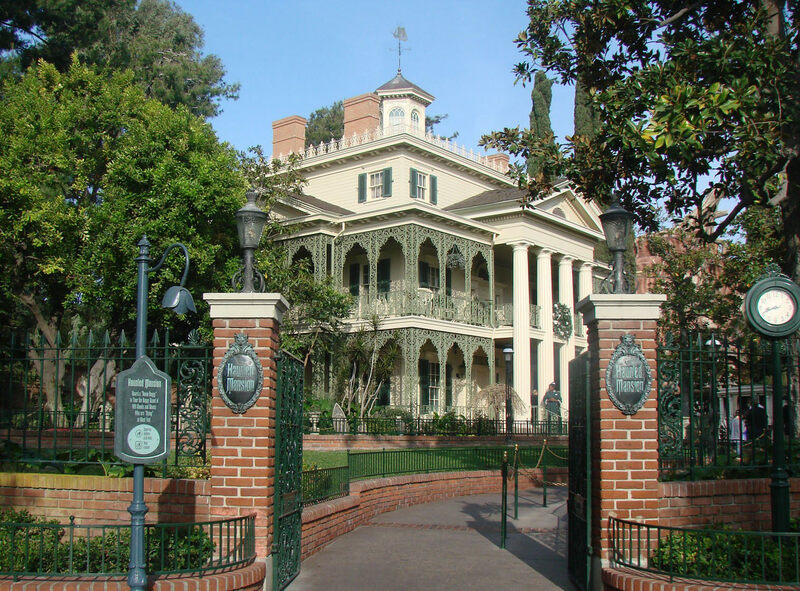 The Haunted Mansion is another must do at Disneyland! While not perfect for the whole family, most will enjoy this extremely detailed and realistic version of a ghost train (certainly more than Luna Park’s anyway). Spoiler Alert: Please find a full POV of the Haunted Mansion Ride thanks to LMG Vids.